"Earlier this month, Commissioner Ra Hennessy and John Corby, Advisory Committee Chairman, joined me for a tour of the Isle of Wight Studio School with Headteacher Richard White," writes Capt. Stuart McIntosh. "The Studio School is a new concept in education, aiming to bring the learning of key employability skills and knowledge closer to those that young people need to thrive in the world today. 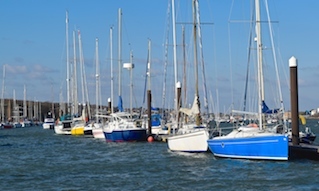 Cowes Harbour Commission (CHC) is delighted to be helping the School’s students get out on the water this season through the provision of a stakeholder subsided mooring for their Mini Tonner class yacht, as reported in our story “Studio School sets sail”. 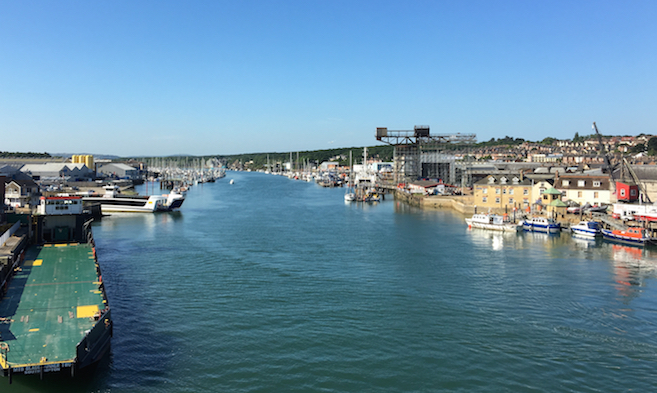 Cowes Harbour is a Trust Port and run for the benefit of the port’s stakeholders, who are all those with an interest in the harbour, whether they live or work here or come as visitors. 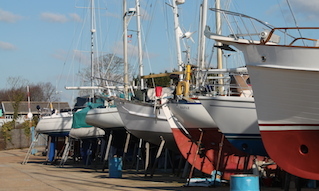 In accordance with government guidance, the Commission is encouraged to use some of the surplus funds on stakeholder dividend projects that do not provide the normal commercial return but improve the harbour, its services and facilities to the overall benefit of its stakeholders. 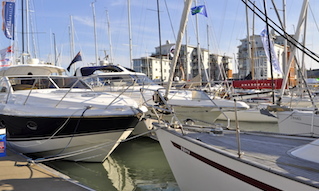 CHC always consults the Harbour Advisory Committee (CHAC) before committing to any stakeholder benefit investment and indeed we would welcome any suggestions or proposals you may have, which ideally should be channelled through the Advisory Committee. If you would like to contribute ideas for future stakeholder benefit projects, do please send a message to the CHAC.